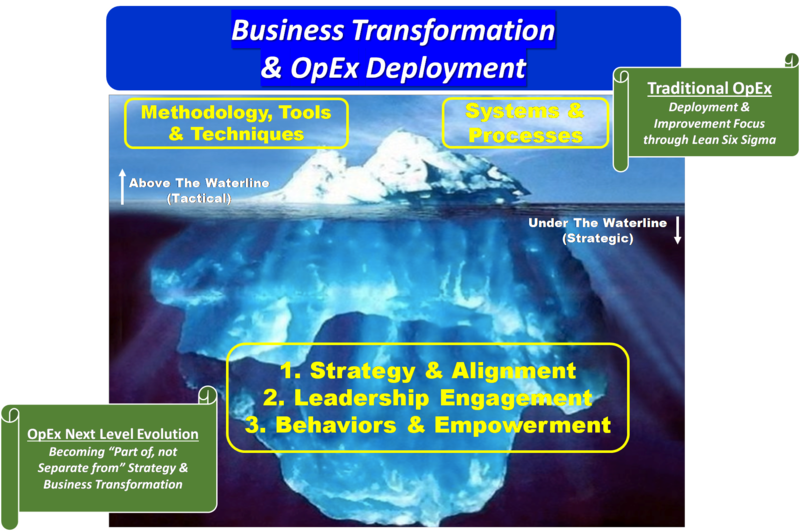 Home › Resources › Articles › OpEx – PART OF or SEPARATE FROM Business Transformation? By its very name, Operational Excellence (OpEx) has held a traditional operations approach in most corporate visions and as a result been strongest in manufacturing operations/production sites or within department/functional operational lines of organizations. Does the traditional operational approach create a “Separate From” business strategic linkage in corporate visions? 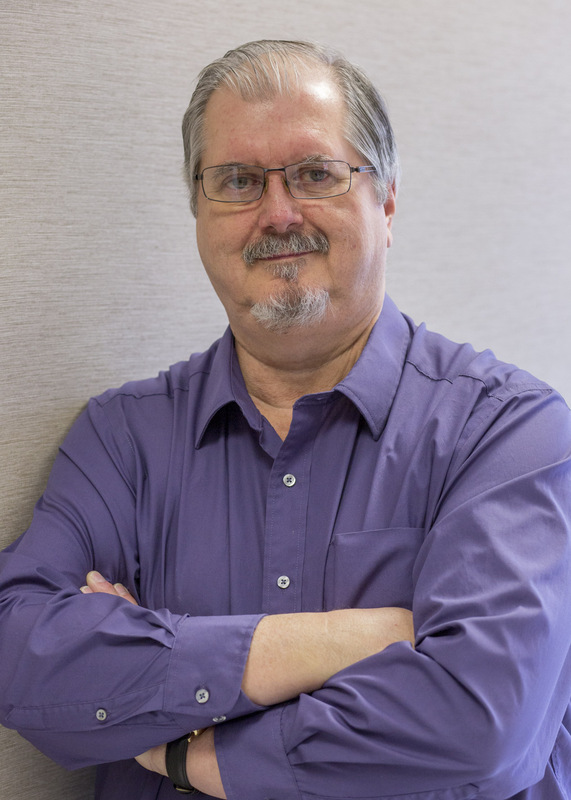 From OpEx early days as Six Sigma and Lean – the methodologies, tools and techniques were leveraged as a continuous improvement mindset with Cost Savings as King although it has evolved over the years at mature organizations to include waste elimination, improved process flow & efficiencies, enhanced capacity, and a quality/compliance driver. And in his upcoming book “State of Readiness – Operational Excellence as a precursor to being a high-performance organization” (2), some great historical background as well as a challenge to look beyond the traditional Kaizen-Lean-Six Sigma process improvement of OpEx to enterprise-wide strategy of system performance with many examples and anecdotes. A Change Opportunity for OpEx to be PART OF and not SEPARATE FROM? Although a lot has been said about Disruptive Technologies/Companies driving Transformations, as can be seen in many cases it’s a more organizational, financial, operational and/or growth focus. And from a starting market position, it covers the range of bottom to top performing companies in their industries. 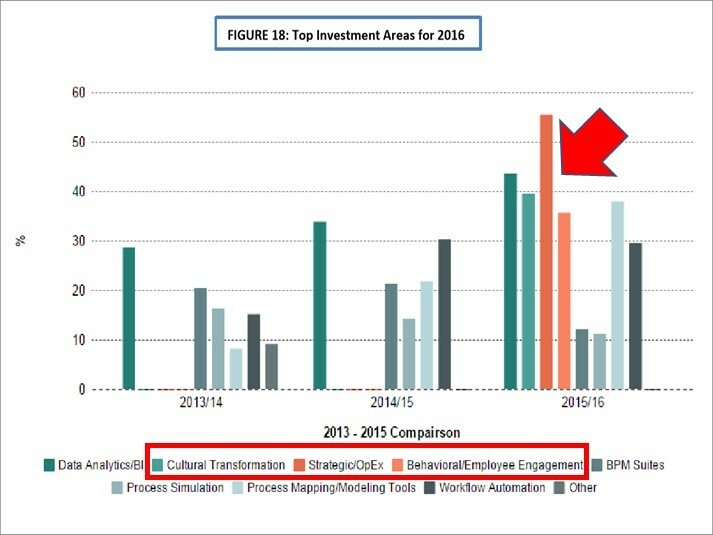 With such fundamental reasons for Business Transformation, you’d think most companies would be successful in deployment. So why do most Business Transformations fail? Business Strategy and Alignment requires a clear vision and plan. Best in Class companies have adopted the Hoshin Kanri (6) approach to this part of the model, i.e. “Planning the Business”. Leadership Engagement assures a business and customer focus on the outputs of mission critical systems and structures (called Key Process Indicators, KPIs). Many companies have adopted Lean Leadership principles from the Toyota Way of Leadership Development (7) in this part of the model, i.e. “Running the Business”. Behaviors and Empowerment is fundamental for successful deployment of (1) and (2) by setting the right Values and Behaviors (called Key Behavior Indicators, KBIs) for EVERYONE in the company (leaders, managers, and employees). Empowering employees for success through Lean Leaders as coaches and mentors who drive continuous improvement, innovation, and fully support the company vision with goals and metrics (both KPIs and KBIs) tied to Strategy then assures success (8). Operational Excellence has traditionally delivered by a data and process mindset focused on improving process KPIs. A sustainable culture shift by a focus on Change Management and KBIs is that opportunity to make OpEx “Part Of” transformational change. Fully integrating and leveraging Operational Excellence Lean Six Sigma and Change Management methodology, tools and techniques with Business Transformation elements 1-3 above completes the model, i.e. “Solving Business Problems and Advancing Business Opportunities”. This “Next Level Evolution” model for integration of OpEx and Business Transformation is gaining acceptance under the broader concept of Enterprise Excellence. What would you like to see in future articles on how Best-In-Class companies are leveraging the model of Enterprise Excellence for success? 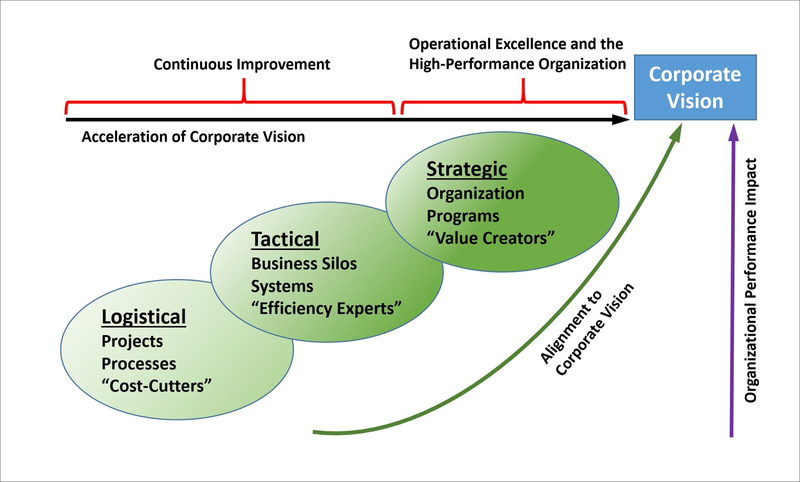 (2) Operational Excellence Maturity Model, Joseph Paris, Jr. , Konitex.com/operational-excellence-maturity-model , October 31, 2015. “State of Readiness Operational Excellence as Precursor to Becoming a High-Performance Organization” by Joseph F. Paris, Jr. ; Book release in May 2017. 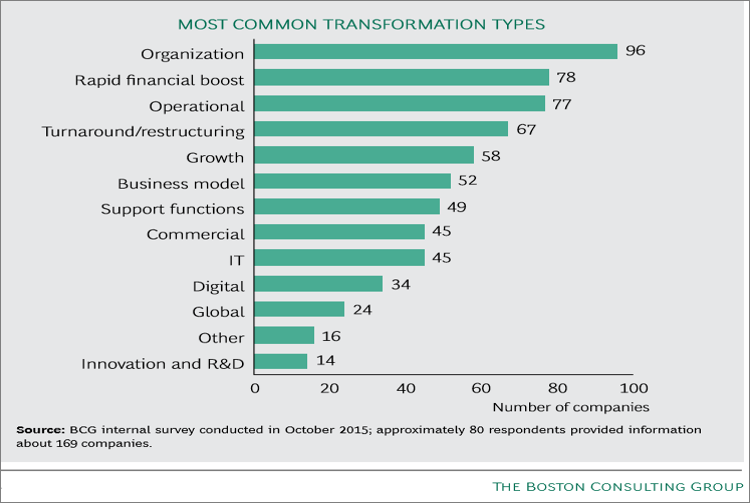 (3) Boston Consulting Group, internal survey October 2015 of 80 respondents and 169 companies. 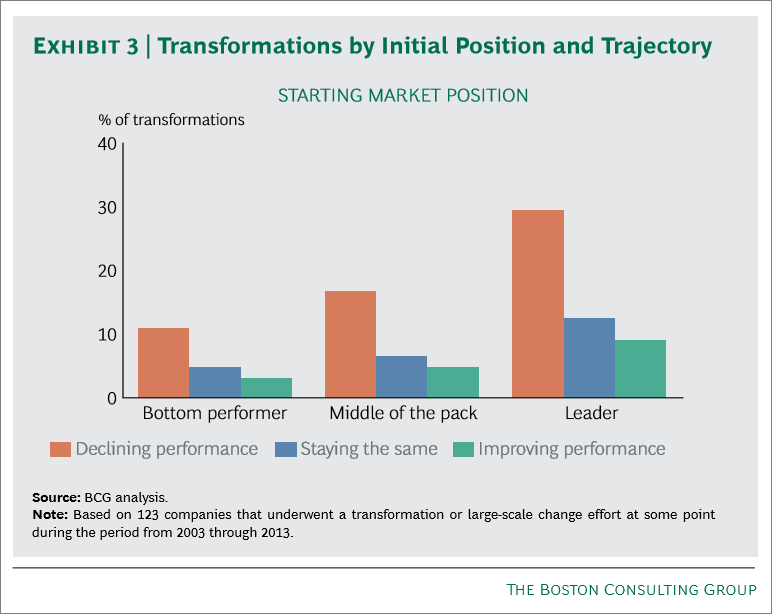 “Transformation – Delivering and Sustaining Breakthrough Performance” edited by Lars Faeste and Jim Hemerling, @The Boston Consulting Group, Inc. 2016. (4) Source: Economist Intelligence Unit, January 2011 global survey of 288 executives, more that 75% in organizations with annual income exceeding $1 Billion. (5) PeX (Process Excellence) Network Special Report - Aligning Strategy with OpEx to drive Sustainable Enterprise-wide Transformation, 4th Biannual State of Industry Report, 2015-2016. 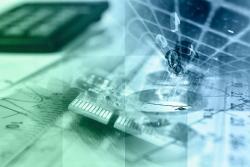 In association with Appian, Bizagi, & IPM-Integrated Project Management companies. (7) Toyota Way Of Leadership - for a comprehensive overview, see the book: “The Toyota Way to Lean Leadership: Achieving and Sustaining Excellence Through Leadership Development by Jeffrey K. Liker, Gary L. Convis “.